April’s theme, BEYOND was chosen by our Bangaluru chapter. 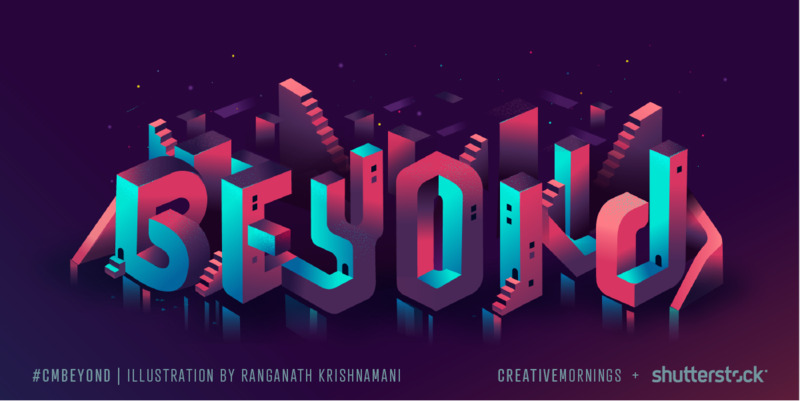 This mesmerizing Escheresque illustration was produced by the talented Ranganath Krishnamani. We want to shoutout our ever supportive global sponsor Shutterstock who is presenting this month’s theme. 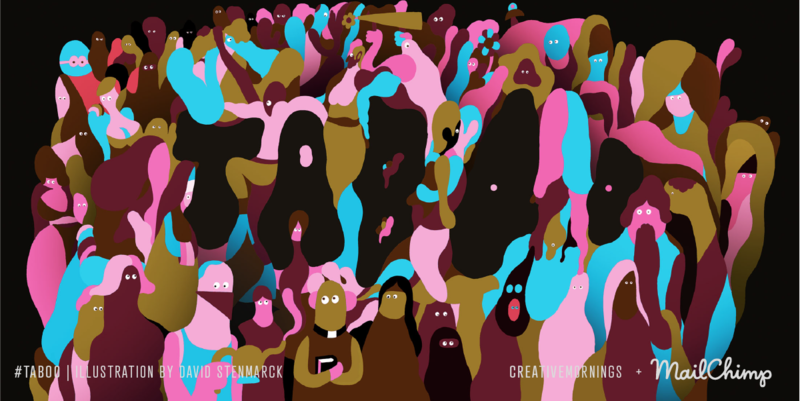 March’s theme #CMTaboo, was chosen by our sister chapter Oslo, and illustrated by the incredible David Stenmark. You can also peep David's work on Instagram. We’re so thankful to our Global Partner MailChimp for sponsoring this month's theme. We love them as much as we love high fives! 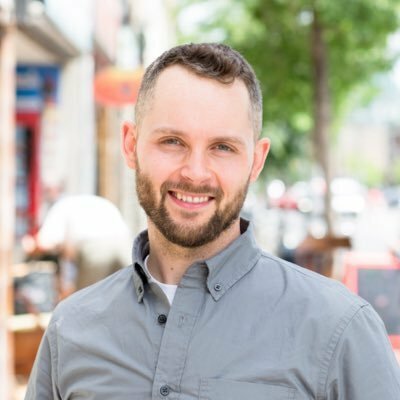 We’d like to take a moment to announce Christopher Rouleau as our speaker for February’s theme of Moments. We’ve been obsessed with Christopher’s Instagram for over a year, watching his daily imaginative alphabets come to life (If you haven’t seen his project 12 Months of Type prepare to be blown away). His dedication to executing on daily inspiration make him a perfect fit for this theme. You may also know Chris by way of Ligatures – Toronto’s Typography hub. A group Chris co-founded, where he continues to instruct local lettering aficionados. Regularly featured in Spacing, Flare, and Uppercase Magazine, Chris was also a fixture at City of Craft offering live-hand lettered posters. His use of analog brush lettering techniques evoke the pre-digital commercial arts style of the 1940s-1960s, that combined with his signature wit result in work that feels fresh and contemporary. 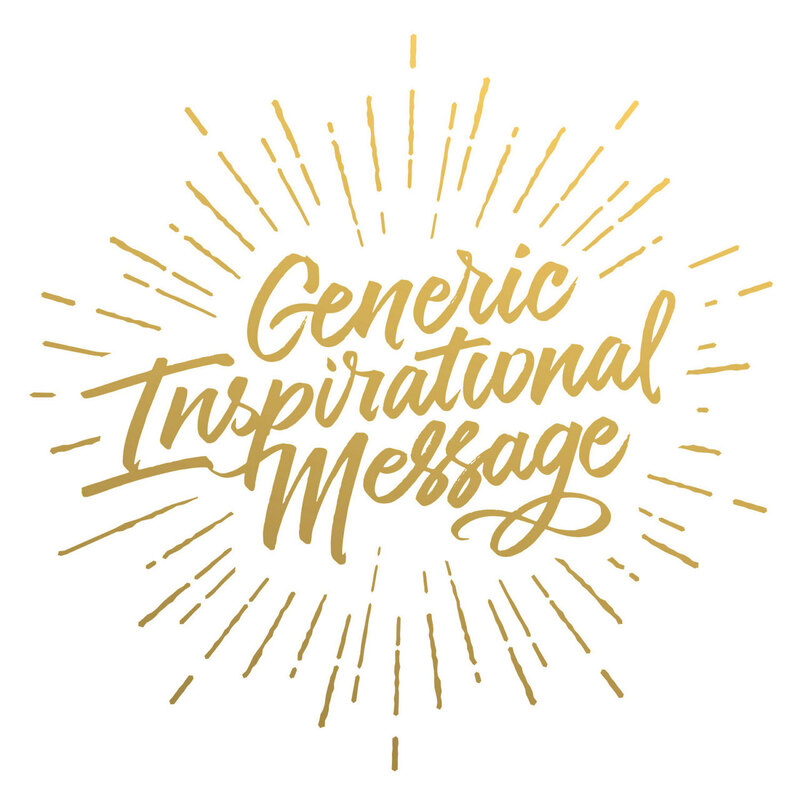 Generic Inspiration Message might just be our favourite. Talk to him about collecting antique signage, his obsession with lettering Toronto, Canada and the Great Lakes and finding inspiration while travelling. When he’s not out in the world speaking about typography and lettering you can find him working on new projects at his Ossington studio. 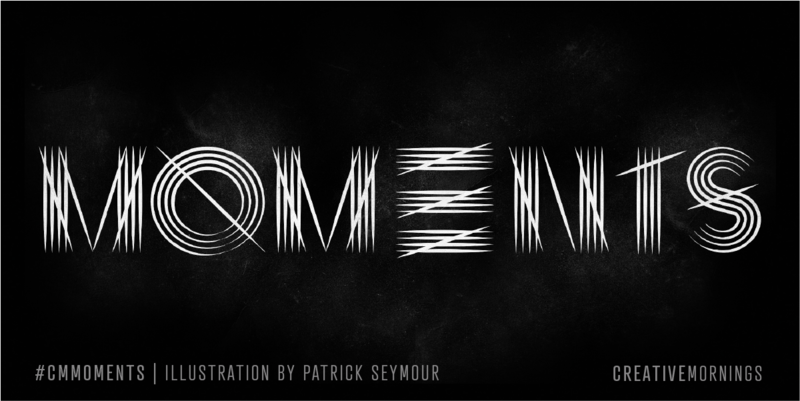 February’s theme, Moments, was chosen by our Montréal chapter and illustrated by Patrick Seymour, check out his incredible work and read CreativeMornings Content manager Paul Jun's interview with Patrick here. In the spirit of this month’s theme, we’d love to know how we’ve done, are doing and what you’d like to see us do more of to bring you moments of joy and inspiration. Share your feedback in our year-end survey, and if you’ve got any speaker suggestions, we’d love to hear them! Yessss! Take me to the Survey! 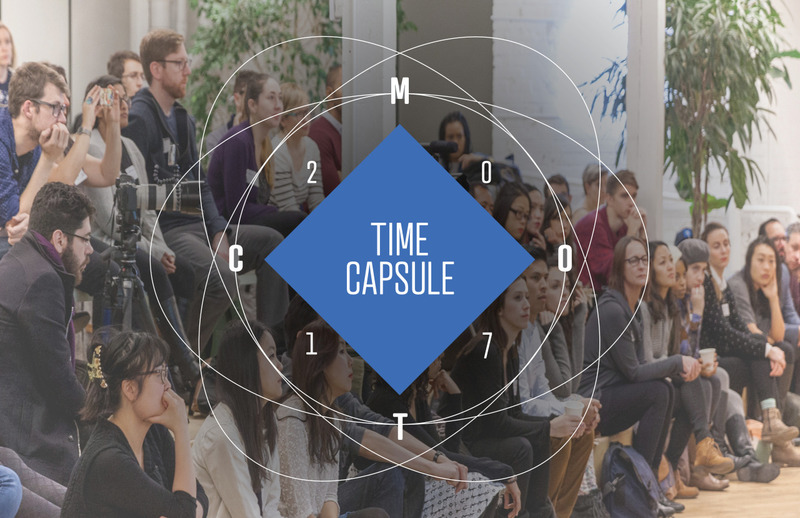 In honour of this month’s theme Moments, we’ve brought back the much loved CreativeMornings Toronto Time Capsule. We’ve given the questions a bit of a refresh and brought back some old gems. If you didn’t take part last year, it’s your very own personal digital time capsule. It features a half dozen odd questions dedicated to helping you record who you are today, at this very moment. Some questions also invite you to look outward, to your practice or workplace, to your community, to your city. Write whatever you like. And in a year’s time, it’ll arrive in your inbox, just like that. Thank you to our December 2015 speaker Teva Harrison for inspiring the idea in the first place when she spoke on the theme of time. This month we welcomed Michelle Latimer (Métis/Algonquin) to speak on the theme of Mystery. Michelle is a Toronto based filmmaker, programmer, actor and activist. Her films include Choke (Sundance Special Jury Honorable Mention in International Short Filmmaking), The Underground, Nimmikaage and the feature doc ALIAS. Michelle is currently adapting the bestselling novel The Inconvenient Indian for screen and directing a short doc for Field Of Vision. She programs for Hot Docs Film Festival and the Dawson City International Short Film Festival. This past Friday, Michelle shared some of her current work, an episodic series she directed and produced called RISE. 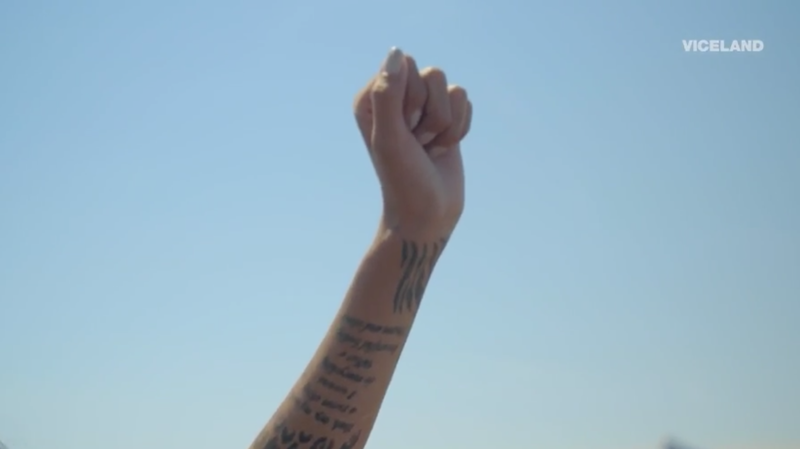 Made in partnership with Vice Canada and APTN, RISE documents “the largest gathering of indigenous people in more than a century [coming] together to protect the area’s water”. Watch Ep 1 and Ep 2 now on VICELAND. Amazing CreativeMornings talk today! Thanks to Michelle Latimer for sharing your work and your story, and getting me all teary-eyed first thing in the morning. 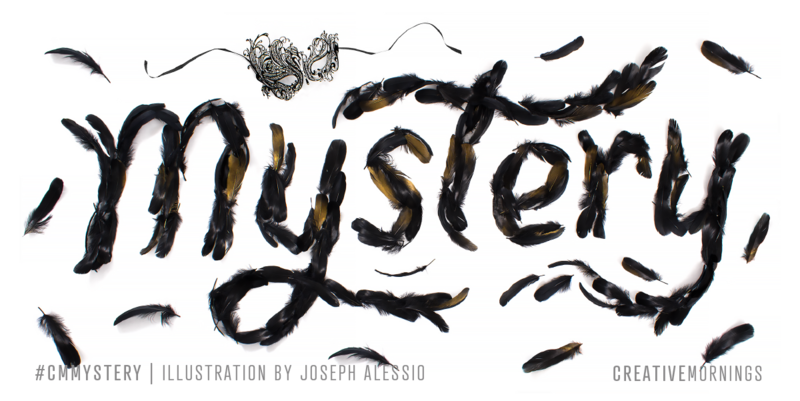 January’s theme is Mystery, chosen by the Houston chapter and illustrated by Joseph Alessio. This month in 160+ cities around the world, we’ll learn how creatives from various backgrounds dance with mystery and infuse it into their lives. 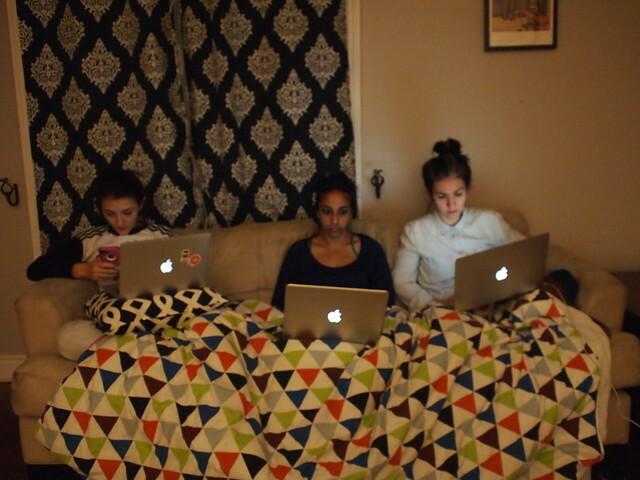 In early February, the volunteer CMTO organizing committee squirrelled ourselves away in Leslieville for part of a weekend to reflect on 2015, review the responses to our year end survey, and plan for the year ahead. 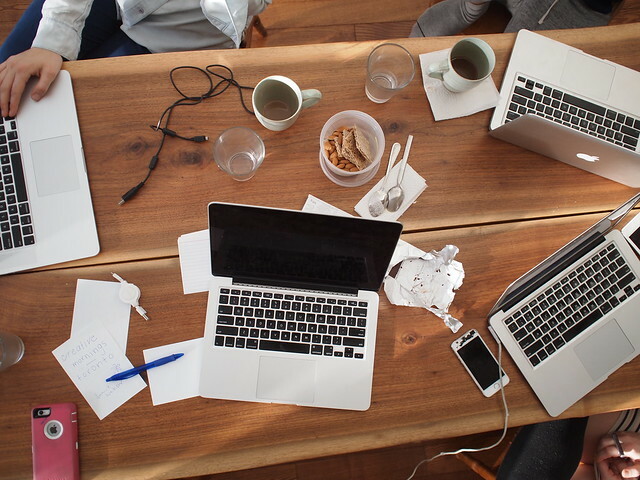 Our planning retreat included lessons in empathy, meditation and visualization, kitchen dance parties, and serious brainstorming sessions; all of which we hope will help to make the CMTO events for the year ahead even better than the last. 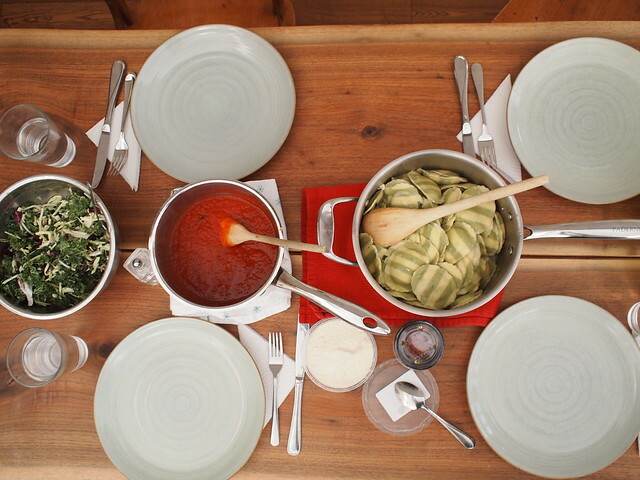 We arrived in Leslieville on Friday night to settle in and reconnect face to face as a team. To get in the headspace for the day ahead, we sat down for a few rounds with the 21 Toys Empathy Toy (see 21 Toys Founder Ilana Ben Ari’s CMTO talk here). 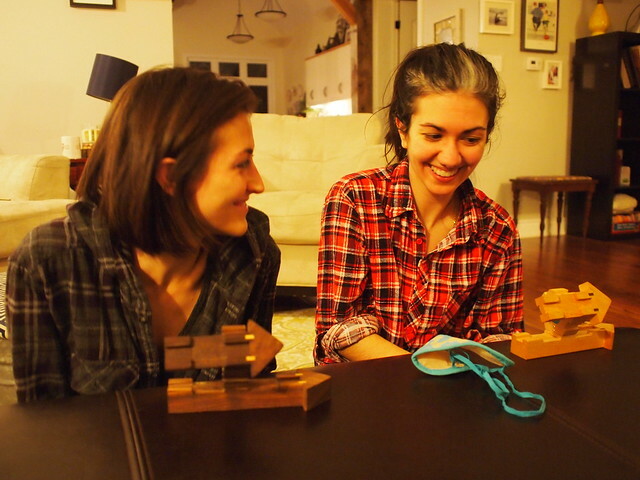 To use the Empathy Toy, two individuals are blindfolded; an observer then assembles 3D puzzle pieces and hands them to one of the blindfolded individuals. 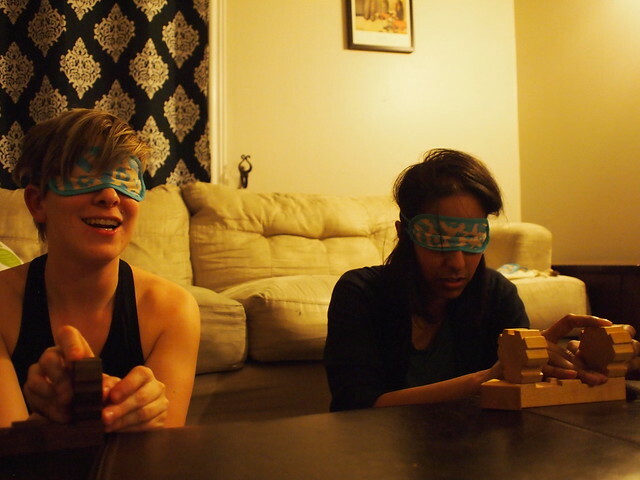 An identical set of unassembled pieces are handed to the other person who’s blindfolded, and the person with the assembled set then attempts to guide them to put together their puzzle pieces to match. The unblindfolded individuals are just there to observe. Once the puzzle assemblers believe that their sets match, they take off their blindfolds, and everyone deconstructs what happens. It’s amazing how a seemingly simple tool can really spark a dialogue about language use, observation, and how different people see the world differently. Creating metaphors and checking in with our partners was something that happened repeatedly. Playing with the Empathy Toy, grounded so much of the conversation and collaboration throughout the retreat. 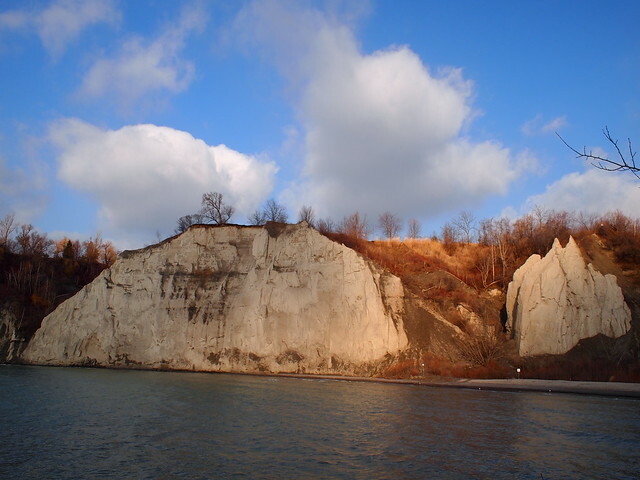 The next morning, we woke up bright and early to go for a coffee fueled walk along the Scarborough Bluffs. The erosion eating away at the cliffs was omnipresent as we looked Northward. The lake and sun however, seemed oblivious to effects of the wind on the Bluffs. We stood mesmerized by lake sparkle. Fresh air and big breaths, we were ready to take on the day. Walking and exercise are an incredible strategy to boost creativity. Immersing yourself in nature is another strategy your brain will welcome. Saying farewell to the bluffs, we returned to the house for the first exercise of our retreat. We began with a 10 minute guided meditation using the Headspace mindfulness app. We were more focused and grounded in our purpose after the meditation, and this lead directly into the core exercise, a 10 minute event day visualization. 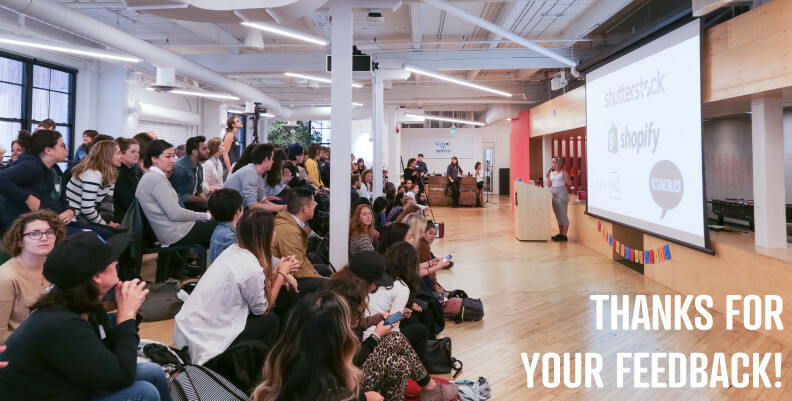 Geared at improving each attendee’s experience of CreativeMornings, we were asked by CMTO host Altaira, to imagine arriving at a CMTO event for the first time; we were then verbally walked through a CMTO event, from arrival to departure. We imagined arriving at our first, and were all confronted with new feelings and thoughts about how we arrived, were greeted, questions we had about our seats, the food, the speaker. Visualizing a familiar scenario anew was an invigorating experience that resulted in powerful conversation. Suddenly we were faced with gaps in the experience of an attendee. We realized that while we do a great job of greeting people at the door, that they might feel a little lost once they’ve entered the space. We also realized that we might need to give a bit more context about the speaker, and CMTO itself, once people are seated and paying attention. When you’ve been putting on an event from the organizer perspective for over a year, sometimes you forget what it feels like to be an attendee and equally important, a volunteer. We refueled with a hearty team-made lunch and launched into the afternoon by reading the entirety of the CMTO Annual Feedback Survey. First of all, huge thank you to everyone who took the time to it fill out. On average each respondent spent over seven minutes giving feedback – an incredible amount of time for a survey – your responses spoke to just how much this community means to you. We went through each and every answer, and really took your thoughts to heart. Here are some of the main takeaways – as an audience, you’d like more opportunities to engage with each other, both at and outside of CMTO events, that means more creative/alternative forms of networking; you’d like more information on the speakers themselves, and more context given as to why they were chosen for that specific global theme; you feel frustrated that it’s not always possible to get tickets; and you really REALLY miss the bagels. We hear you! We spent the vast majority of our afternoon reviewing these survey responses and looking at ways to incorporate your feedback where we can, or to better open up the lines of communication where we can’t. At present our events hover around the 200 person mark – there’s a tipping point we’ll need to reach in terms of number of people wanting to attend before they can push beyond that threshold and turn CMTO into a much bigger (and less intimate) event. We continue to believe that hosting our events for 200 people serves you all best, as it maintains an intimacy for the networking experiences you so strongly look for as well as opportunities at the mic for YOUR TURN and time after the talk with the speaker. Like every good retreat, the afternoon’s work was followed by an impromptu kitchen dance party – we snapped some polaroids, and took another walk around the neighbourhood to get our bodies moving, clear our heads, and pick up ice cream–because excel spreadsheets need to be followed up with ice cream. For our last assignment of the day, we went through the amazing list of speaker suggestions that were sent in with the surveys, and mapped them out (along with our own suggestions) with the themes for the year ahead. Again, thank you so much to everyone who sent us speaker suggestions! We’re a core volunteer committee of five, so hearing your different perspectives on the amazing Torontonians you’d like to hear speak is invaluable to us. A million thankyous. We were really proud of reaching gender parity last year, but there’s still a lot of diverse speakers and sectors we’d like to learn from. So please keep sending in the names of people who inspire you to our email . Each month’s global theme pushes us to uncover less conventional speakers and challenge us, and all of you, to connect creativity with a much broader definition. We believe that that’s the magic of Toronto, and of CreativeMornings. We closed out the retreat with a list of lessons learned, and a plan for where we want to go in the year ahead. We love this community with all our hearts, and are looking forward to helping this community grow and change for the better in 2016. In our December 2015 talk, Teva Harrison encouraged the CMTO community to write a letter to their future selves outlining the type of person they want to be, and the type work they want to focus on. Returning to this letter and rereading the aspirations you set out for yourself is an opportunity to check-in on your current trajectory, course correct, and to move forward on your journey. Without taking the time to check-in; be it through a self-addressed letter or looking back at what Instagram photo we posted 52 weeks ago (this was ours), it can be difficult to quantify just how we’ve grown over a set period of time. 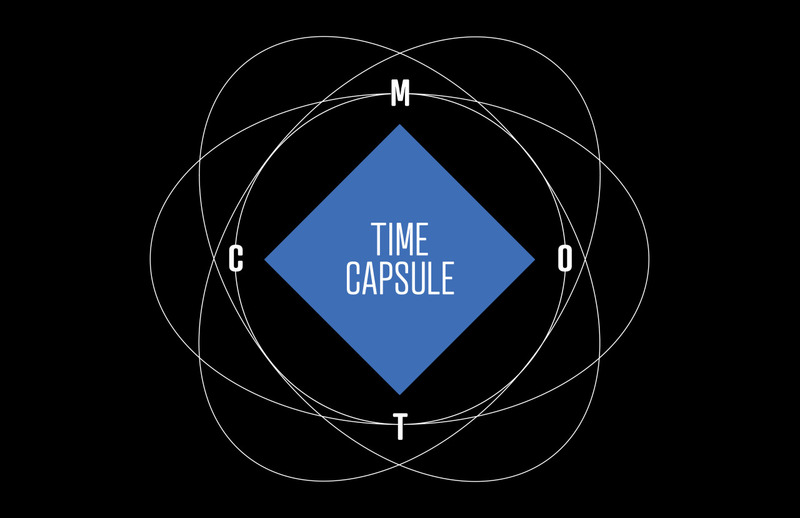 The CMTO time capsule is back for its second year, to provide you with just that. A snapshot of your creative self at an exact moment in time. We’re offering to store your goals, dreams, and aspirations under lock and key for a whole year. When December rolls around we will email you with your answers and you can reflect on how much you have changed over a year. Whether you end up achieving every goal on your list or if you flipped the proverbial table and started anew mid-2016, the CMTO time capsule is a way to look back at how far you’ve come (no matter how winding the road). So go ahead, share your deepest desires (and your snack food/favourite jam of the moment, this is ours) and go give 2016 your all. We’ll check back in approximately 45 weeks. Submit to the CMTO time capsule!